I think something most of us can agree on is the desire to have healthy, beautiful hair. With the diversity of styles, textures and colors haircare can at times be a complicated mission. There is no single solution to having healthy hair; it is like a jigsaw puzzle and it takes several pieces to make it whole. A major piece is product usage. I recently chopped off nearly 9 inches of my hair and maintaining my fresh new cut is important to me, especially the ends of my strands. 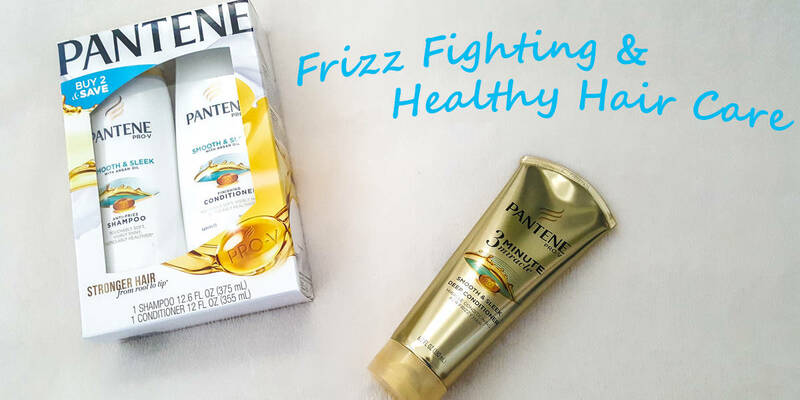 Aside from taking care of my health and avoiding excessive heat, the shampoo and conditioner I use play a significant role in having healthy hair. I have friends who believed that one haircare product is no different from another. A tube of shampoo is just shampoo; conditioners are all the same. No, that is not how this works. I can recall countless times I have had friends buy specific products to compare so they would realize there is, in fact, a difference. I prefer shampoo that cleans well without stripping my hair of its natural elements that provide shine, moisture, and bounce. 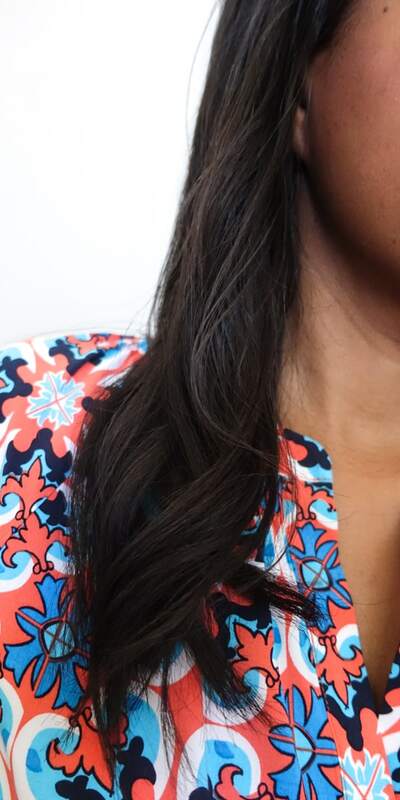 Conditioner should help detangle and leave hair feeling soft and silky. I have been a Pantene user since I was a teenager because it is a brand I can always count on with quality hair care products. A brand in which I can immediately see and feel the difference of my mane. My typical go to line is Pantene Pro-V Smooth & Sleek Collection. This Moroccan Argan Oil formulated line includes three products targeted to provide silky hair that fights frizz. Living in Florida, the anti-humidity properties in these products are essential. 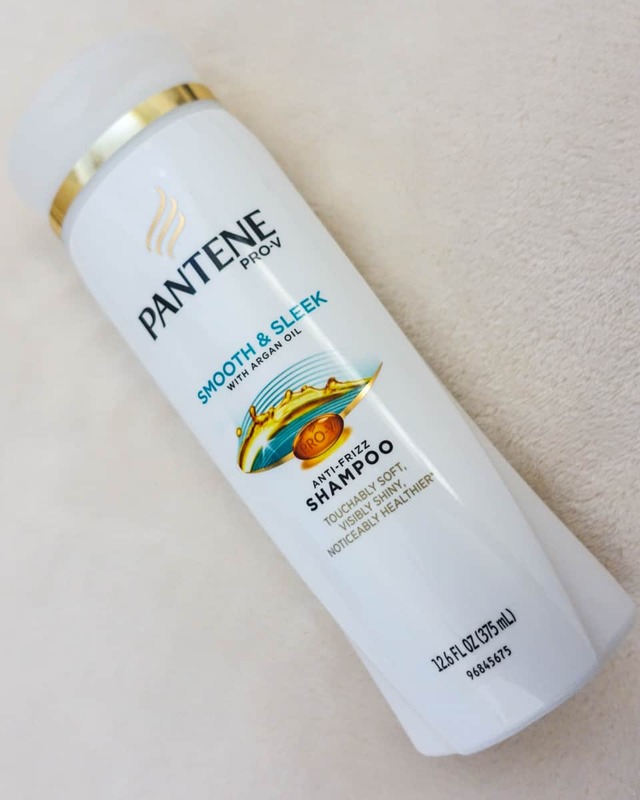 Pantene Pro-V Smooth & Sleek Anti-Frizz Shampoo does a fabulous job at cleaning buildup without leaving my strands feeling dry and brittle. From my experience, this shampoo is ideal if you want to battle frizz, have any damage and prefer sleek hair. 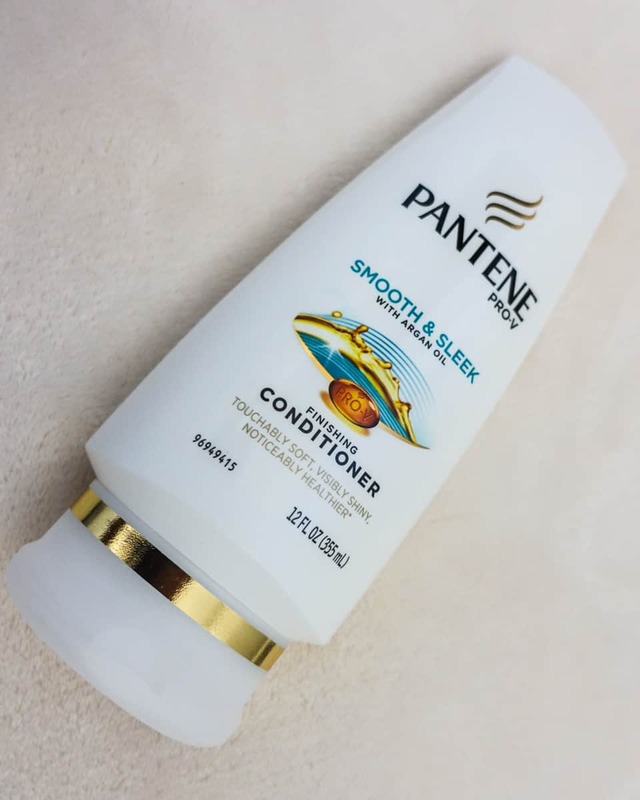 Pantene Pro-V Smooth & Sleek Finishing Conditioner provides excellent slip making it easy to detangle hair without using too much. Raise your hand if you always run out of conditioner way before shampoo! That is not the case with this line because this conditioner is so good, I do not have to use several handfuls each time. 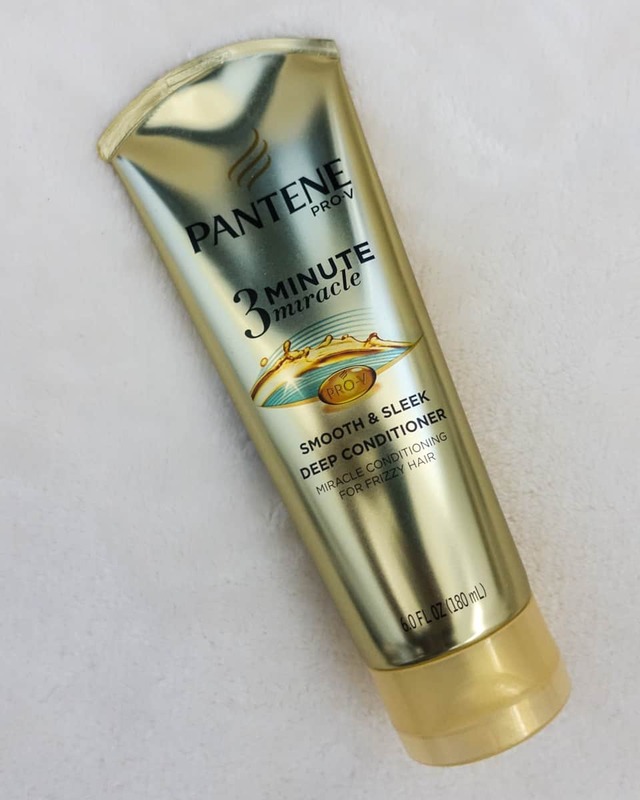 Pantene Pro-V Smooth & Sleek 3 Minute Miracle Deep Conditioner is a tube filled with a magical substance made with unicorn essence. This gem is what makes my hair feel like a million bucks. I am talking gorgeous, lush locks you will want to touch all day long. It is an excellent hair treatment for damaged hair. I feel this extra step is vital because the strength of my hair is higher on my priority list than ever. The last thing you want after cutting your hair is breakage making your hair even shorter. 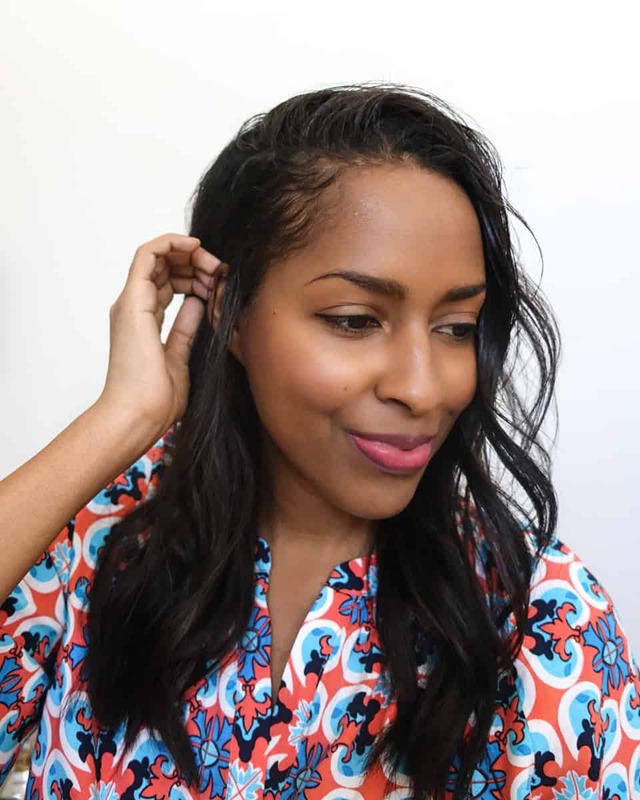 This deep conditioning treatment is the perfect thing to battle breakage. The Pantene Pro-V Smooth & Sleek Collection is that go-to line I trust to maintain strong, healthy, beautiful hair from root to tip that stays smooth and shiny all day. The Pantene Pro-V Smooth & Sleek Collection and more Pantene Pro-V Hair Care products are available on Amazon. Having your hair products shipped to your home is a huge time-saver! Give this line a try for smooth, sleek hair or select from the various other Pantene Pro-V collections targeted to your hair concerns!